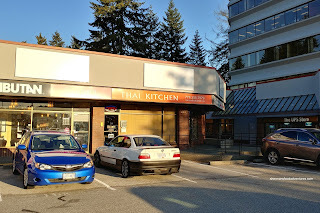 There was a time that I ate almost exclusively in Coquitlam... Yes really. I used to live there during my university days and it was the most convenient thing to do. Naturally, this was pre-blog and my tastes have changed (generally for the better). Since moving away from Coquitlam, I have only ventured back when it was convenient to or if there was something worth traveling for. Otherwise, I've focused my energy on Burnaby and Vancouver. However, Diana and I did travel out to Coquitlam (actually just into PoCo) because Hilda was raving about it. As such, we met her for dinner to see for ourselves. Located in the same strip mall as the Michael's, Ma Now sports a modern, clean and tasteful decor. We felt comfortable there due to this as well as the friendly service. We began our meal with the large order of the Chicken Satay. 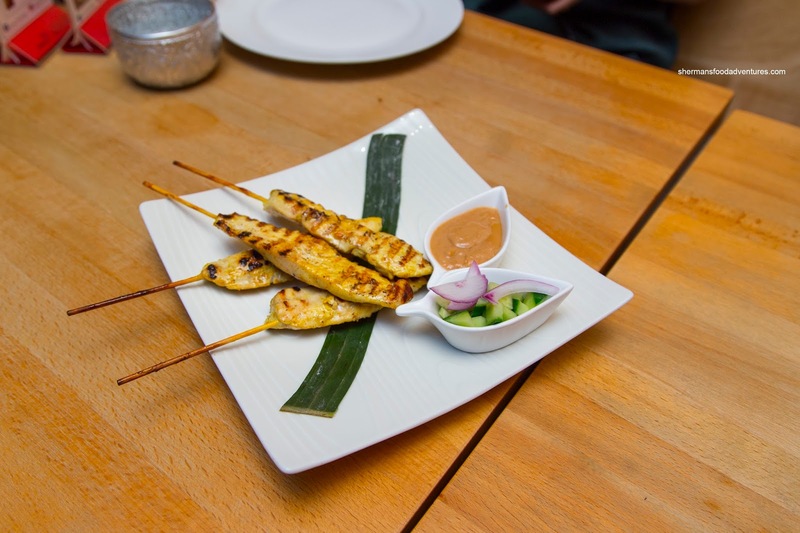 The skewers boasted a good amount of marinated breast meat that was succulent and tender. It was mildly seasoned where the heavy lifting was done by the accompanying peanut sauce. For our obligatory curry, we chose the classic Green Curry with chicken. This was a bit thinner than I would've liked, but it was not devoid of flavour though. 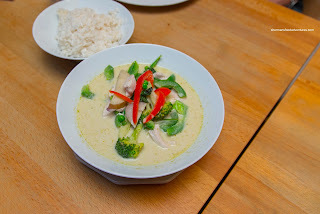 There was the mild aromatics of coconut milk along with some brininess and a surprising level of heat. As suggested by Hilda, we chose mild and it was actually decently spicy. 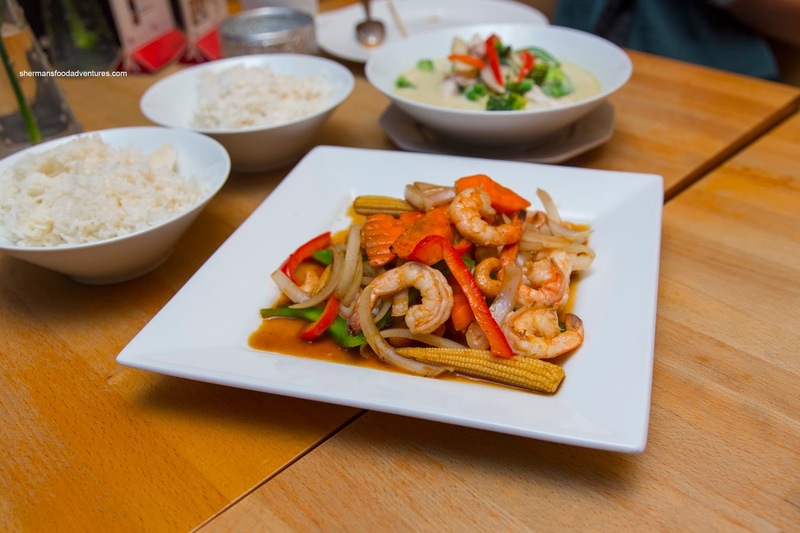 We also ordered the Craving Cashew (Pad Med Ma Muang) with prawns as our stir-fried dish. 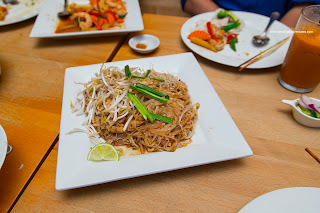 This was subjected to enough wok heat that the sugars caramelized and provided a good balance to the savouriness. I found the veggies to be crisp and vibrant while completely seasoned. The prawns were also flavourful while having a meaty snap. This went well with the side of coconut rice. 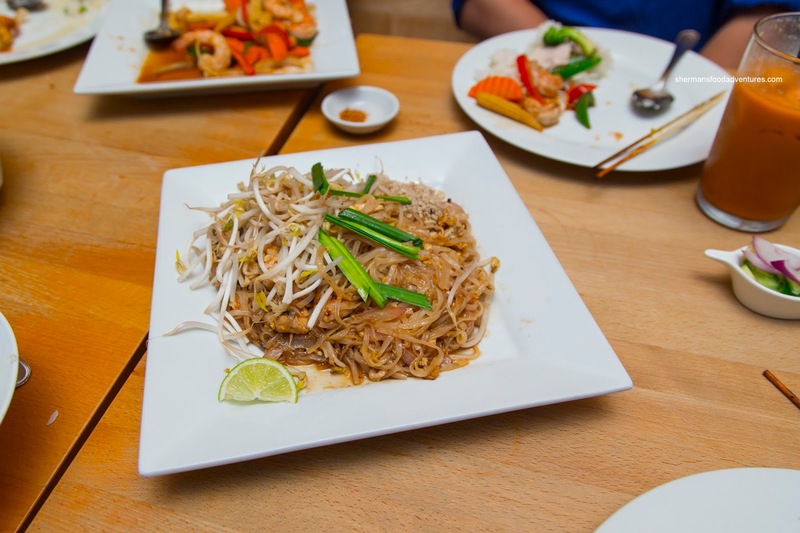 Our last dish was the Pad Thai with chicken which was my personal favourite. We asked for medium and it was probably more close to spicy at most other places. That was good as that went well with the tang from the tamarind and sweetness of the palm sugar. Once again, there was good caramelization going on. I gotta give it to Hilda as Ma Now Thai was a good suggestion. Solid food with friendly service.